It is hard to imagine today's world without smartphones and personal computers. With their help, you can perform a wide range of tasks from working with documents to running games and movies. In the smartphone market, the Android operating system is currently leading. Its feature is a simple and intuitive interface, as well as the ability to customize absolutely all functions “by itself”: change the appearance of the operating system, remove unnecessary applications and much more. 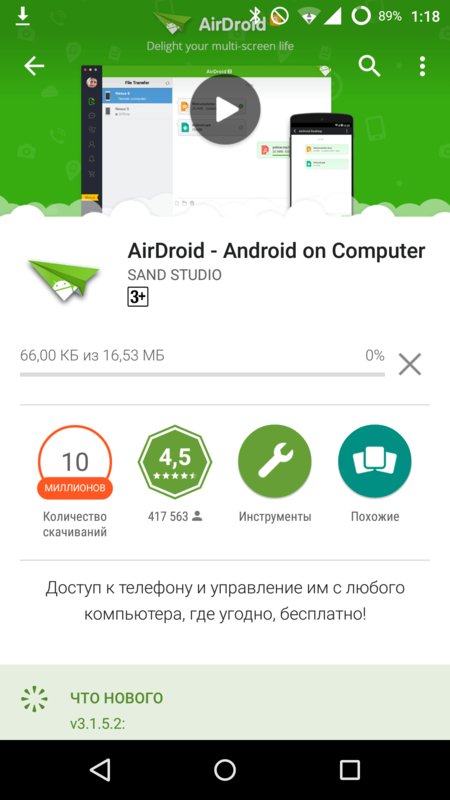 Manufacturers of modern smartphones complement their devices with powerful processors, large amounts of RAM and permanent memory, but this does not always save us from a lack of internal memory.. One of the most common ways to clean your device’s memory is to remove unnecessary standard android applications. There are various ways to remove system applications on the Android operating system. Some of them can take advantage of any user, some - only the "advanced". In the menu that opens, you can see detailed information about how much memory the selected program occupies, as well as the necessary buttons for managing it. 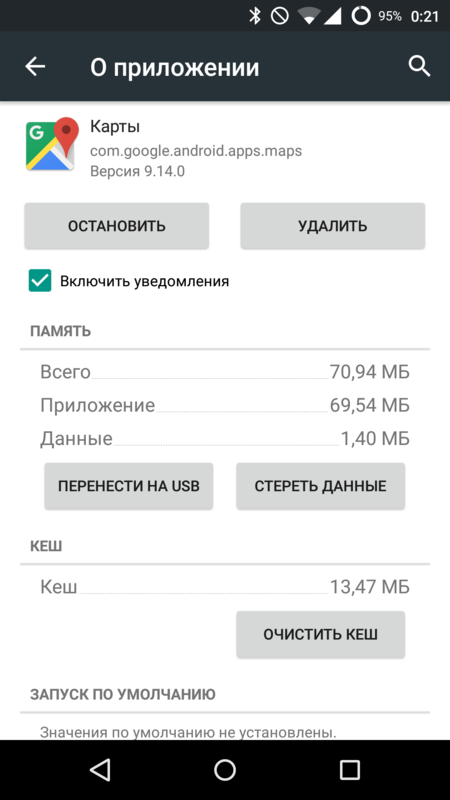 Further in the section "Cache" you must click on the button "Clear cache" - this will delete all program data on the smartphone's memory card. After that, you can safely click on "Delete", which will lead to the complete removal of the system application. In some cases, the complete removal of standard applications may not be possible due to limitations imposed by the manufacturer. However, for those who want to delete as much as possible all the data of an unnecessary application, there is an alternative solution. First you need to go back to the "Applications", located in the settings. Next, in the “All” tab, you need to find the application that you want to remove. If you click on it, then instead of the usual “Delete” button in the opened menu there will be “Disable”. This function will delete all program data as well as all updates, however the application source file will still remain in the system.. In some cases, this button may not be available. In order to activate it, you must first stop the application by clicking on the appropriate button in the upper left corner of the settings menu. In the window that opens, select the application that you want to remove, and click on the Uninstall button. After some time, the application will be removed from the memory of the smartphone forever. For "advanced" users, there is another way to remove standard applications. To implement it, you need to have root privileges on your android smartphone, as well as any file managerwhich can work with system directories. There are various ways to get root rights, but they all require a lot of experience in working with smartphones.. Getting a root is a rather complicated process, and any mistake can lead to physical damage to the device. At the moment there are many instructions from hackers on how to do this. They can be found on any thematic forum. There are a large number of file managers that allow you to work with the system files of the device on android. Some of them are paid, some are not. The most common free file manager is Root Browser. It can be found in the official app store Google Play, and other resources on the Internet. In the list of files that opens, you need to find the App folder, which contains the folders of standard applications. To delete any of them, you only need to hold your finger on the folder until the drop-down list appears, and in it select “Delete”. In some cases, the manufacturer installs some standard applications separately from the main ones. As a rule, they are located along the data / app path, otherwise the deletion principle is the same. As mentioned earlier, this method only works if you have root rights on the android device. If the changes made to the operating system of the smartphone lead to a breakdown, it will not be repaired under warranty, and the entire cost of the repair will be borne by the buyer. For those who prefer to use the Android operating system without add-ons from other manufacturers and extra standard applications, there is a line of Nexus smartphones and tablets. They are created by Google in collaboration with OEMs. The output is a device, the hardware of which is created by an OEM manufacturer based on its flagship, and the software is under full control of Google. In this regard, Nexus smartphones are popular among people who do not like a large number of pre-installed standard applications and do not want to waste their time removing them.